Governor's budget could add more than a dozen new auditor posts to fulfill state requirements. SALEM — A dozen large state agencies could find themselves with watchdogs tethered within their ranks, guarding against wasteful spending and questionable government practices. They've been without internal auditors for more than a decade ago, ignoring a mandate that they have such positions. That lack of oversight was highlighted in a recent state audit, and Gov. Kate Brown is budgeting for 14 new internal auditors. Internal auditors can find tens of thousands in improper or unnecessary spending, fraud or inefficient practices. They can also determine when an agency is operating smoothly, using resources effectively and staying up to date on best practices. In 2005, the state made that function a matter of law and tasked the state Department of Administrative Services with setting up rules and standards for which agency should have an auditor and what auditors should do. But 13 years later, 13 agencies are violating that policy and internal auditing staffing is at an all-time low. During its Dec. 12 meeting in Salem, the Joint Committee On Legislative Audits dressed down DAS and its past leadership for failing to manage the state's network of internal auditors. The secretary of state's office through the state Audits Division dispatches its own auditors to agencies big and small every year, pointing out an agency's inefficiencies. But an internal auditor is on the job and in house year round to provide constant monitoring and can take the time to sift through the minutia of an agency's processes and programs. Early this year, for instance, internal auditors employed by the Oregon Department of Corrections, found the agency had no practice to alert Verizon when an employee left the department. When auditors looked back five years, they found the state spent $41,466 on phone bills for people no longer employed with corrections. Often, the phone was no longer in use, but Verizon continued to bill because it wasn't told of the separation. An in-house watch dog can provide advice beyond catching such problems. "We're here, we are available," said Marlene Hartinger, chief auditor for the Oregon Department of Transportation. "If there is a non-audit activity, that is a smaller portion of what we do. We can't take action, but we may review draft policies." When Brown released her budget in November, she proposed 14 new internal auditors to safeguard against noncompliance, fraud, wasteful spending and mismanagement. Under state rules, agencies with at least $100 million in biennial expenditures, $10 million in annual cash on hand, or at least 400 full-time employees need to have a state internal auditor. Thirteen agencies who fit those standards don't comply. Among them are the departments of veterans affairs, justice, agriculture, environmental quality, business development, state lands, military, water resources. Other state agencies that by rule should have the internal watchdogs are Oregon Liquor Control Commission, Oregon Housing and Community Services, the Higher Education Coordinating Commission, the Public Utility Commission of Oregon and the Oregon Watershed Enhancement Board. Racquel Rancier, senior policy coordinator for the Water Resources Department, said the department only recently met the requirements for an auditor. She said it hit the benchmark in 2016 and a year later was given a waiver. The agency is now proposing such a position in its 2019-21 budget. Donald Oliveira, spokesman for the Department of Environmental Quality, said the agency lacked funding and the Legislature didn't authorize such a position in the first place. He said Director Richard Whitman supports adding one, though, and thinks it would help the agency meet its core functions. In 2007, the state had 53 auditors, but today there 32, according to the state audit. 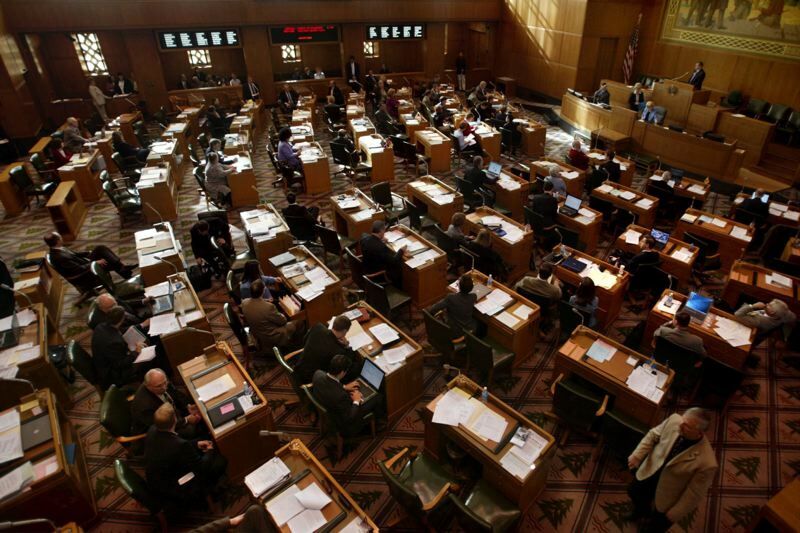 The secretary of state's review earlier this year concluded such a decrease creates the perception Oregon didn't care about the internal audit function and hurt the ability to hire auditors. Under Brown's proposal, all 13 agencies would get the internal watchdogs and one more would go to the Department of Administrative Services to oversee the program. That's important because in Wednesday's hearing, legislators and secretary of state auditors said the Department of Administrative Services often failed in its oversight role — something Director Katy Coba didn't take protest. Coba is also the state's chief operating officer. 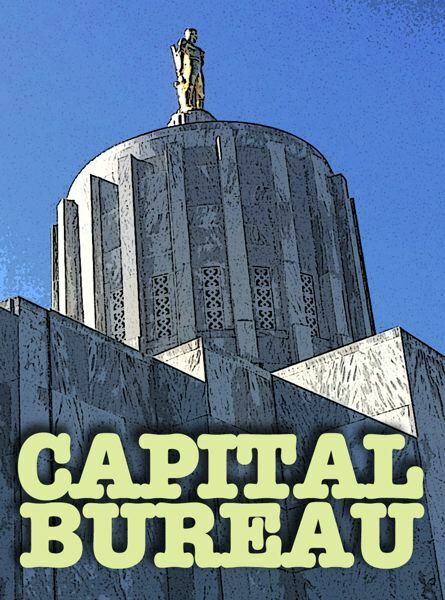 "Audits haven't been a priority in Oregon," Coba said. "DAS hasn't effectively monitored, coordinated, or reported on internal audit function impacts, challenges and resource needs to state legislators." Coba said there is a lot of work to do, but she's up to the task. Committee Co-chair Sen. Betsy Johnson, also co-chair of the powerful Ways and Means Committee, said it wasn't Coba's fault. "DAS has been a mess for two decades, so I am not blaming you," Johnson said, adding Coba is capable enough to right the ship. However, Johnson said if the necessary fixes aren't implemented, she doesn't want the blame to fall on a council or agency. She wants to be able to "yard" in one person that the Legislature can grill. "Madam co-chair, that would be me," Coba assured her. The Department of Transportation has 10 internal auditors. Seven look into the department while three scrutinize contractors. It has two vacancies. Hartinger said to be effective, auditors must be independent and objective. "We have to be separate from the programs we are auditing," she said. In a recent audit, Hartinger found the transportation department could do better paying its contractors on time by properly filling out payment reports and establishing a way to catch and address past-due invoices. The agency told its own auditors that it would implement two new electronic programs to track payments. Hartinger said agency auditors now are busy looking into new projects brought about by the massive 2017 transportation package. Auditors are reviewing the bidding process, doing risk assessments and tracking late payments to contractors. When improvements are suggested, auditors then hold agencies accountable for implementing the change, she said. But Sen. President Peter Courtney wants more accountability. Specifically, he wants agencies to be accountable to the Legislature. After Kip Memmott, the secretary of state's audits director, finished his presentation on the review of the internal audit system, Courtney started thinking aloud. He wondered as Memmott's team scrutinizes government practices and the internal audit corps is bolstered, whether audits were going to be done just for the sake of doing them. "We are going to have more auditors running around than anything else," Courtney said. Courtney suggested the Legislature have its own auditors, saying lawmakers would never be content otherwise. Johnson agreed, saying it should be an added watchdog wing to internal auditors and the secretary of state's office. "If I were queen, there would be a robust legislative audit function," she said. To Courtney's surprise, Memmott agreed, saying it's common in other states.